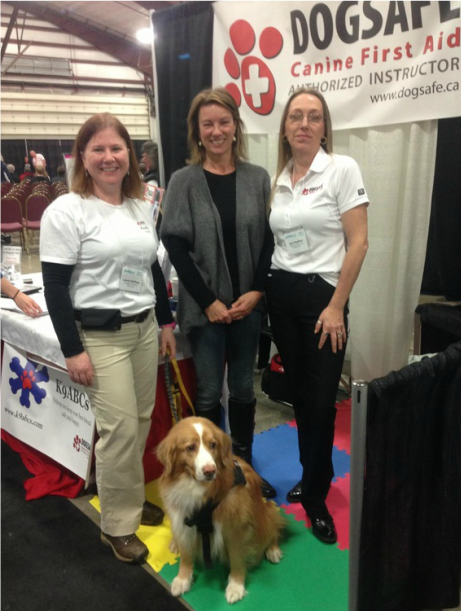 Thank you for your interest in our 196-hour Dogsafe Canine First Aid Authorized Instructor Program. People from across Canada, the USA, Brazil, Australia and other countries have asked for the Dogsafe Canine First Aid courses. Clearly, canine first aid and safety is a top concern for dog owners and dog professionals all around the world! Do you love dogs and people? Do you have knowledge and experience in canine behaviour? Do you have a passion for canine safety? Do you want to work side-by-side with your dog everyday? 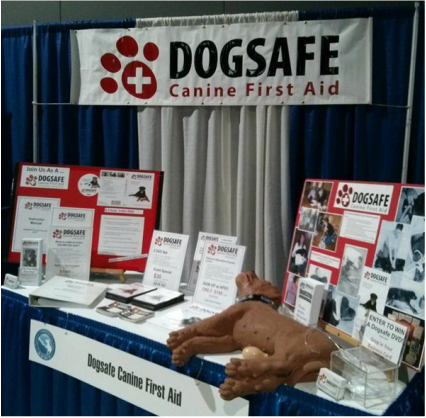 As a Dogsafe Canine First Aid Authorized Instructor, you are an independent business owner-operator yet receive comprehensive training, marketing and business support. I know you're passionate about animals, but this is an easy business decision too -- if you taught just one Dogsafe Canine First Aid course per month, that would be an income of over $20,000 a year. And even better, the Dogsafe Authorized Instructor Program is a proven, Skype-based, online eLearning program, so you do not have to leave your beloved pooches at home on their own. I've created a flexible, part-time, 196-hour, seven-month program that you study in your own home, in your own time. But this does mean easy, oh no, as I've designed the most comprehensive canine first aid program in the industry. And you're not alone... we pair your online study with one-on-one training and support sessions directly with me, the founder of Dogsafe ....the best of both worlds! I'm honoured to be a Dogsafe Authorized Instructor. Yes! I want more program info please! Our booth at the Association of Professional Dog Trainers conference. I am so impressed with the Dogsafe Instructor Manual, I love the way it's presented and it answers any questions I have. 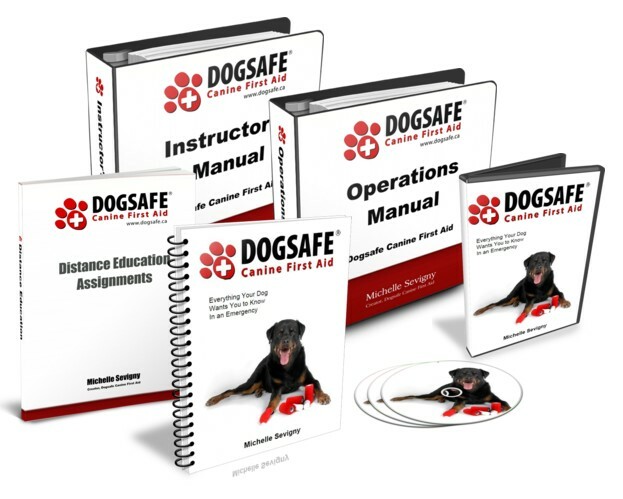 I also appreciate how the Dogsafe Operations Manual has helped me with the business side of being an instructor. Thank you for all the hard work, detail and vision. I didn't buy this company. Dogsafe is a business I created on my kitchen table back in 2004 and continue to grow it with my full heart and soul, right across the globe. Dogsafe is a business that is big enough to serve globally, yet small enough to give individual attention and care. When you call Dogsafe Head Office, you'll reach me directly -- every time! I adore Dogsafe and have always envisioned it to be bigger than myself and creating the successful Dogsafe Authorized Instructor Program seriously makes me smile. Won't you join me? I am looking for kind, caring and experienced people with integrity to join our network of Dogsafe Canine First Aid Authorized Instructors ... fantastically awesome people who have a passion for canine safety and a personal commitment to our company core values. Ready to learn more? If yes, please introduce yourself through our online Introduction Form and you will receive an immediate link to download two documents, (1) our Instructor Program Information Document which has more details including costs, and (2) our Instructor Program Course Curriculum. ​Or if you prefer, call me directly at 250-325-0855 and we'll chat right now! ​Thank you again for your interest in the Dogsafe Canine First Aid Authorized Instructor program, I can't wait to connect with you!